There are many ways apart from the standard one to tune a guitar, and each way opens up new possibilities for the player and songwriter. 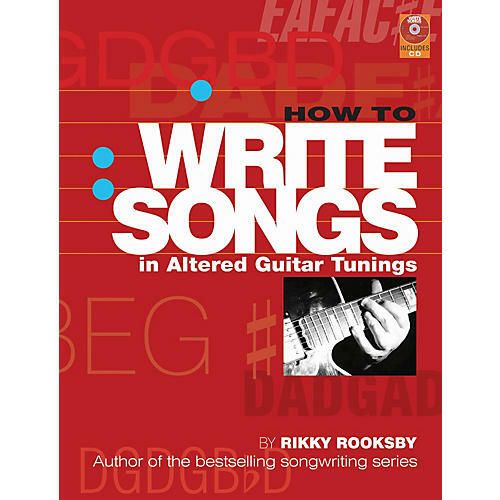 In this latest installment in his bestselling songwriting series, author Rikky Rooksby talks the reader through these possibilities, introducing a number of common and not-so-common alternative tunings that can be used to great effect by any guitar-playing songwriter. Drawing on examples from a wide range of guitarist/songwriters who have used alternative tunings, from Keith Richards to Nick Drake, Rooksby opens up a rich new seam of inspiration for all those wanting to develop their guitar skills and take their songwriting to a higher level.